Charming family villa with private pool, garden and BBQ area for a peaceful getaway on the beautiful Cyprus coast. This delightful 3 bedroom detached villa is located in a quiet exclusive development sitting perfectly between Polis and Latchi Marina, two of the most sought - after areas in Cyprus. The downstairs accommodation comprises an airy open plan lounge featuring a fireplace. There is also a well equipped kitchen /diner and conveniently located WC. Upstairs are 3 double sized bedrooms, 2 of which with balconies to enjoy mountain and sea views. A cot and/or highchair is available on request at no extra charge. There is also a family bathroom with a walk in shower unit. The villa features its own private swimming pool surrounded by comfortable sun loungers set in a large partly covered patio which circles the property, together with a shady peaceful garden area with high fencing to ensure extra privacy. There are also BBQ and outdoor dinning facilities and an outdoor shower unit. The blue flag local beach is only 10 min easy accessible walk. There is a supermarket 30m from the villa to supply all catering requirements for a comfortable family holiday. 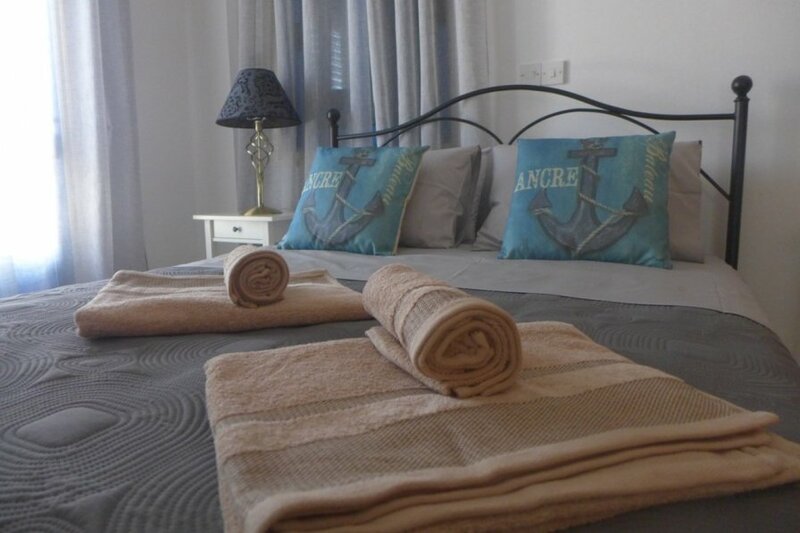 The town of Polis with banks, restaurants and other major facilities is 10 min easy accessible walk in one direction, while the upmarket fishing marina of Latchi is 15 min., garden and BBQ area for a peaceful getaway on the beautiful Cyprus coast. The town of Polis with banks, restaurants and other major facilities is 10 min easy accessible walk in one direction, while the upmarket fishing marina of Latchi is 15 min.